Be Fab Blog — Every Girl Deserves To Be Fabulous, Inc. The Be Fab Blog is your place for discussion with articles on a variety of topics including dating and relationships, school, health and wellness, inspiration, news, social media, fashion and style as well as real-life advice. What Kind of Reflection Are You? Growing up my mom would say "Remember who you are and to whom you belong." She would often say this whenever I was going somewhere - whether it was to the mall with friends, maybe out with a guy, or even when I went away to college. As my parent, she knew that she did her best to teach me right from wrong and to instill in me high standards and morals. My actions, no matter where I go, ultimately reflect how I was raised and this phrase of hers was basically my mom's way of reminding me not to forget all I've been taught. As a child, I used to think this saying only applied to me being a reflection of my parents. However as I got older, I realized that I can look at it also as it applies to God. Genesis 1:27 says "So God created man in His own image; in the image of God He created him; male and female He created them." God created us in His image and that means we are a reflection of Him too.That's pretty big but the problem is how often have we kept this in mind? Think about the last time you did something you knew was wrong but chose to do anyway? In doing whatever it was, what kind of reflection were you? And that's a question we should keep in mind daily: What kind of reflection am I? Because it'll help us everywhere we go and in everything we do, to remember who we are and to Whom we belong. Think about when you were younger and your parents said "no" to that toy you wanted at the store or "no" to staying up past your bedtime or "no" to having candy for breakfast. Not happy with the answer, most kids would probably kick, scream and cry in hopes of getting their way. Now fast forward to present day and maybe you heard "no" to the job you interviewed for or maybe you heard "no" from the college you applied to or maybe you got a "no" to something you've been praying for. 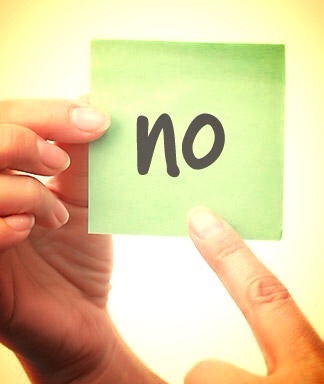 "No" isn't a word we like to hear at any age especially when it's regarding something we want. But the reality also is that at some point or another, there are a number of ways we will be told "no" in life. And as much as we might want to throw a tantrum like a little kid, we know that's not an option. Often time hearing "no" can sting and we are left feeling disappointed and rejected. However if we change our perspective, hearing "no" isn't always a bad thing. In fact, sometimes rejection can be a blessing in disguise. Jeremiah 29:11 says "For I know the plans I have for you,” declares the Lord, “plans to prosper you and not to harm you, plans to give you hope and a future." We may not always understand it when it happens but know that inasmuch as God opens doors that no one can shut, He also shuts doors that no one can open. Just like a good parent, His plan is never to hurt us by saying "no." Instead, when He closes a door, it's to lead us to something much better - the open door He's had waiting for us all along. As usual, this time of year is when we start looking back over the people, places, things, and events that shaped our lives in the last 12 months. Maybe you marked a milestone like starting high school, graduating from college, getting married or starting a new job? Maybe you had to deal with some tough news this year like a tragic accident, an illness, your parents' divorce, or even the death of a relative. 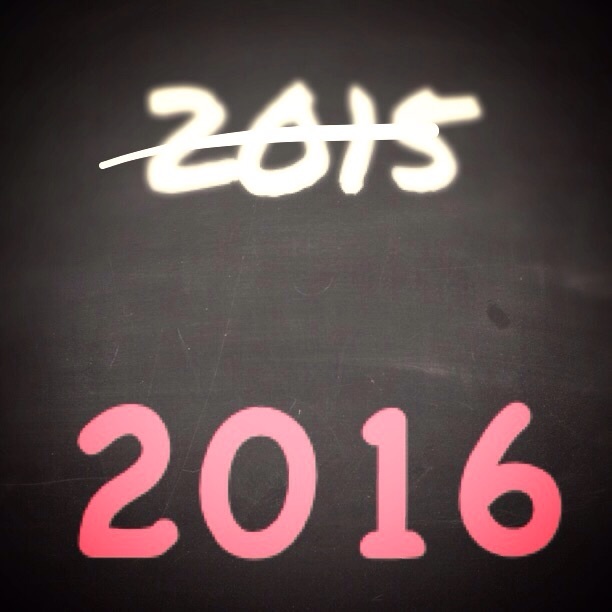 It's safe to say that each of us had our fair share of great memories and some not-so-great ones in 2015. Whether you're happy or not happy with how things turned out, this is traditionally the time when we come up with ideas to make the New Year better. By making a New Year's Resolution, you're basically making a goal for yourself. It's something about the New Year that makes us really reflect and look for ways to better ourselves and grow. But why is that? Maybe it's because we realize that another year has gone by and we don't feel as accomplished as we would've liked. Psalm 90:12 says "So teach us to number our days, that we may gain a heart of wisdom." The reality is every minute, every day, every year that goes by is time we won't ever get back again. Making a resolution forces us to accept this and be intentional about changing, growing, and becoming a better person. Change is hard, especially when you're used to doing things a certain way. But seek God about it because He promises to help us. He more than anyone wants to see us grow and mature into the fabulous person He created us to be. The great thing is that we don't even have to wait until the New Year to make that resolution, why waste another second - start now! As females we are naturally emotional. We can cry, get angry, be over-dramatic and then be overjoyed - sometimes all in the same day. Emotions aren't a bad thing, after all it's one of the many things that make us human. But we have to remember not to let our emotions always guide our actions. The world says to "follow your heart" but how often have your feelings led you to make a decision you later regretted? The Bible reminds us of that in Proverbs 19:21 "Many are the plans in a person’s heart, but it is the Lord’s purpose that prevails." Our feelings waver, fluctuate, shift and change more than the weather. We weren't meant to let them be our primary source of direction - they are not stable enough. But God is constant, stable, unwavering and unchanging - and we can always depend on Him. Think about it, God has been there to wake us up, to protect us, and to bless us in so many ways - each and every day without fail. And yet we put more trust in ourselves and how we feel rather than in Him who already knows what's best. Trust is hard for most people and that's probably because we've all had situations where our trust was broken. But we have to remember that God isn't the same as people. People fail us every day and we fail ourselves but God cannot fail, has never failed and will never fail. It may not be easy but no matter how we feel, it's always better to choose faith in God over our feelings. Have you ever listened to someone talk and every other word was a curse word? Maybe they were telling a story about something, maybe they were arguing with someone, maybe they were just singing along to their favorite song? This might offend some people but...cursing doesn't make you grown, it doesn't make you cool, it doesn't make you a lady, and it's just not cute. People try to justify it saying that sometimes it's necessary to get your point across but the reality it...it's just wrong. James 3:10 says, "Out of the same mouth proceed blessing and cursing. My brethren these things ought not to be so." Think about it: Yes, God gave us a mouth to speak with but why would He want us to use it for negative things like cursing, talking about someone, making fun of someone, etc? God intended us to use our words in a positive way and that's what we need to do. I understand that, like many other things, it can be a hard habit to break. However I challenge you the next time you get mad or the next time you want to tell someone off, to think twice and choose your words carefully. Have you ever wanted something so bad that you would do almost anything to have it? Maybe you compromised yourself to get that guy to notice you...maybe you cheated on a test to get a passing grade...maybe you lied during an interview to get a job? We've all had times where we were so focused on getting what we wanted that we let ourselves get lost in the process. We convince ourselves that since it's not bad to want a boyfriend, a good grade or a job that it's okay to go for it. Yes it's okay to want these things but it's not okay when we are willing to get them - by ANY means necessary. Proverbs 19:21 says, "Many are the plans in a person's heart, but it is the Lord's purpose that prevails." Trying to get what we want - in our own way and without seeking God - leaves us feeling exhausted, stressed and overwhelmed. Think about it - it's like we're drowning - drowning in the very thing we wanted to so much. God loves us too much to let us drown in the very thing we thought was so good for us. Yes, at times He'll let us go into the water without a life jacket but just when we think we're in too deep, and the water starts to cover our heads, He's right there to rescue us before we drown. I know what you're thinking...yes of course God could stop us from going into the water and getting in over our heads in the first place. However remember that God is our Heavenly Father and even our earthly parents known that sometimes the only way we learn is the hard way. When was the last time you said something you wished you could take back? James 1:19-20 says "My dear brothers and sisters, take note of this: Everyone should be quick to listen, slow to speak and slow to become angry, because human anger does not produce the righteousness that God desires." Notice it says we're supposed to listen first, then speak. That's probably the reason we have two ears and just one mouth. But how many of us have been guilty of getting it out of order (::raises hand::). It's usually because we get angry, our feelings get the best of us and that's when we end up saying something we regret. We're emotional and there's nothing wrong with that. Having feelings are a good thing. But in that moment when we really want to tell somebody off, curse somebody out or even yell and scream, we need to stop and ask ourselves, "Is what I'm about to say gonna make this situation any better?" Every time we say things from a place of anger, hate, jealousy and negativity, it always makes things worse. Instead we gotta take the time, even in the heat of the moment, to choose our words carefully. No, it's not easy, but yes it's worth it. 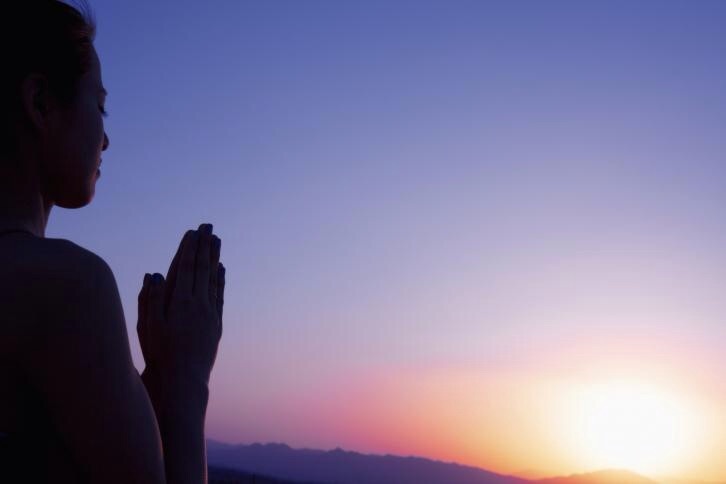 Pray and ask God for guidance so that your words will help and not hurt. Mistakes - we all make them and we do it everyday. Maybe we've disappointed our parents, our friends, our boss - or worse we've disappointed God. The question isn't how many times we mess up but how often we think it's the end of the world, how often we let a mistake make us feel like a failure? Psalm 139:16 tells us, "You're eyes saw my substance, being yet unformed. And in Your book they all were written, the days fashioned for me, when as yet there were none of them." What a wonderful picture - God forming each and every one of us uniquely and intricately. He knows us inside and out. That means think about this - before we were even born, God knew that we would mess up and drop the ball, yet He still chose to grace you and me with precious life. Remember that nothing is too big or too small to stop Him from loving us. No matter what it is, we must genuinely come to Him in repentance and surrender all of our mess to Him. Mistakes, failures and all - He can use even the most broken life and turn it into something beautiful. Have you ever been in a place where everything in your life seems to be going wrong? You name it, it happened and all in the same week. And after everything that's happened, you feel like you have no one to talk to - your friends aren't answering your texts, your family is too busy and you can't seem to find anyone to talk to. So what do you do in that place you're in? Often times these are the moments we call out to God, but it's usually as a last resort. Psalm 73:25 says "Whom have I in heaven but You? And there is none upon earth that I desire besides You." The moments in life that drive us to God are actually blessings in disguise. Life happens everyday and as much as we would like to, no matter how old we get, we will never have all the answers. It's in those moments when we genuinely say, "God you're all I have left," that we realize that God is all we ever need. Did you cry yesterday? I did. Did you get some news you weren't hoping for yesterday? I did. Did you say something you wish you didn't yesterday? I did. The great thing about today is that it's not yesterday - that means we can leave everything from yesterday right where it belongs - in yesterday. One of my favorite Bible verses is in Philippians 3:13 where it tells us to forget the past and look forward to what's ahead. I know it's easier said than done but think about how worry-free our lives would be if we took that approach. I admit I used to be a self-confessed dweller - you know the type of person who has a hard time letting go of what happened in the past. No matter how big or how small the situation was, they keep bringing it up and talking about it. I've realized that you can't take yesterday's baggage into today's journey. When God blesses us to wake up in the morning, it's more than "just another day" - it's a brand new day. Today is always better than yesterday but you have to make it that way. If you keep dwelling on what happened in the past, your present and your future will never change. It's taken me a long time to get to this place in life and I'm not saying I have it all figured out but thank God I'm a work in progress. It also doesn't mean that there won't be hard times - that's a given but just know that no matter what happened yesterday, today can still be "Day one of the rest of your life, day one of the best of your life" - but only if you let it.